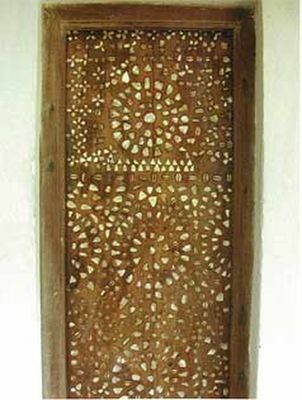 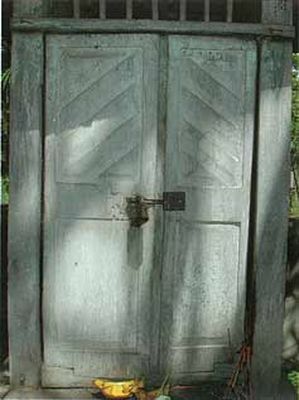 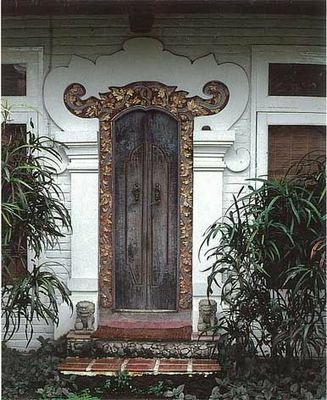 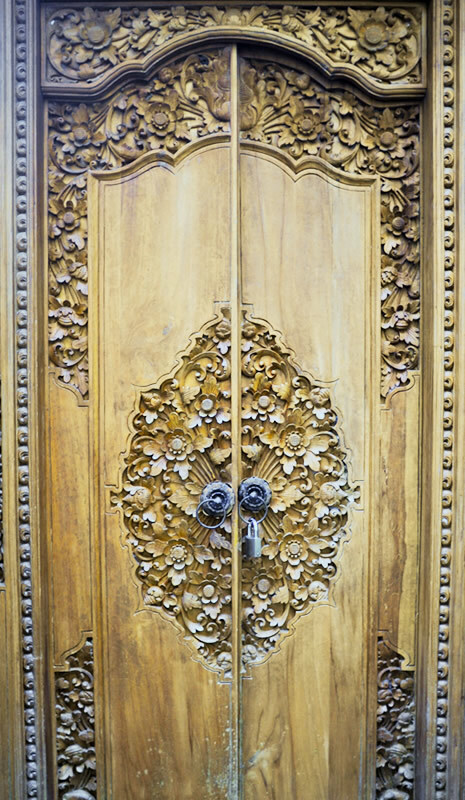 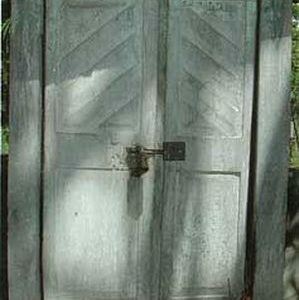 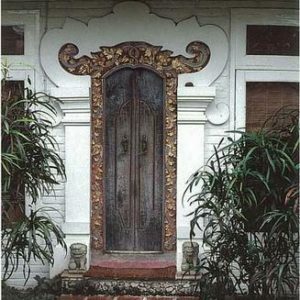 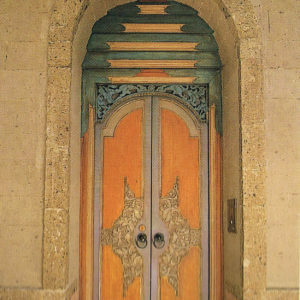 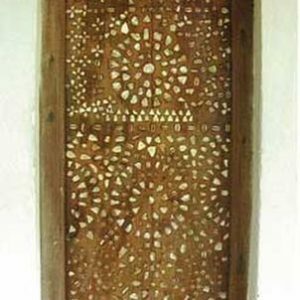 In an extraordinary abundance of styles, the typical Balinese door remains unique. 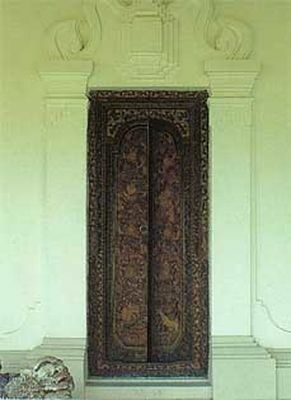 It is, however, closely related to the double doors of southern India. 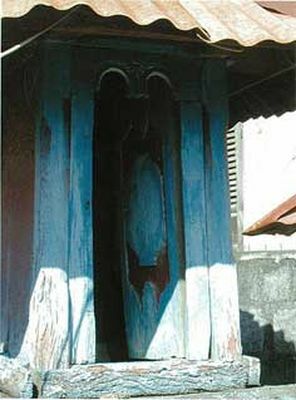 It resembles in particular those of Tamil Nadu pavilions, not only by its manufacture but also by the colors, the handles and the locking mechanism. 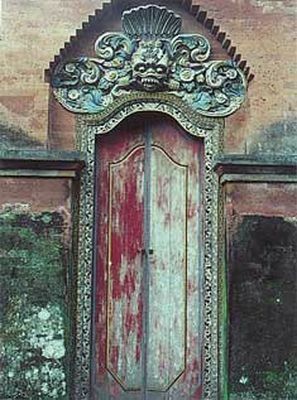 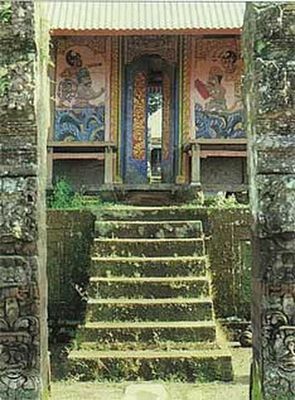 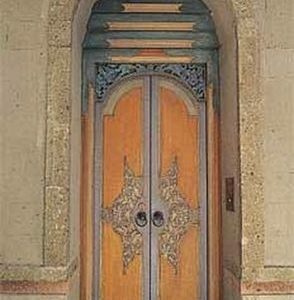 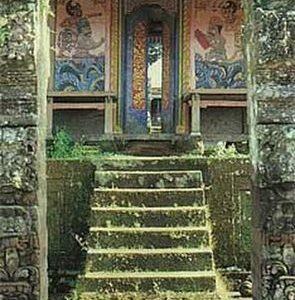 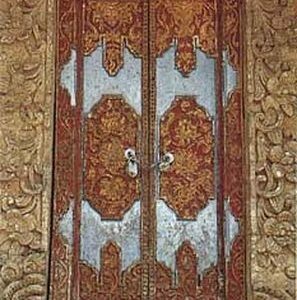 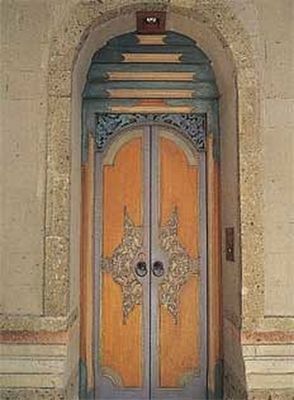 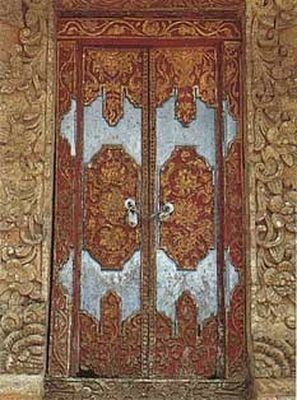 Over the centuries, the Balinese version of this door has seen many decorative variations: traditional three-colored doors from the old mountain villages, to the Chinese-style doors, richly carved and painted Gianyar’s palaces. 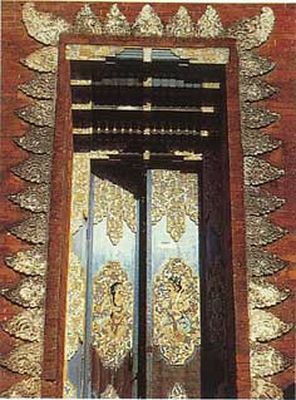 Klungkung and Kamngasem, fashionable throughout the twentieth century. 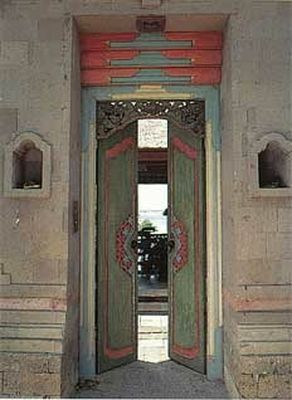 Unlike the traditional Balinese door, the door of mountain huts has only one leaf. 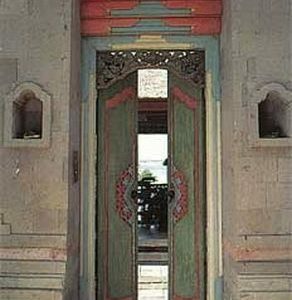 It is found in old villages like Belantih and Truny: m. and on small islands off the south coast of Bali. 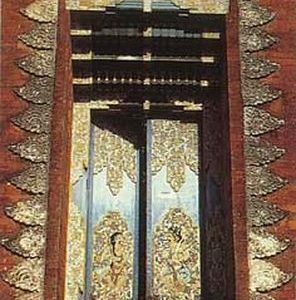 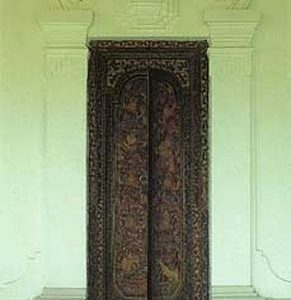 Some of these doors are similar to those of the Majapahit era. 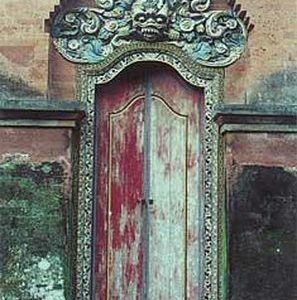 The sculptures and the general shape are very similar to the gates of some 16th century mosques in the east of Java, especially 0 Sendabgduwur near Bojonegoro.The portals of the temples, sacred pavilions and houses still have double doors The main pavilion in the courtyard, the meten, and that of the kitchen (poan), usually have single-pane doors.The bamboo sliding kitchen doors are common in traditional rural homes. 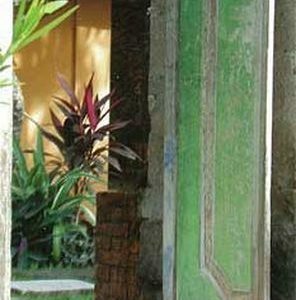 framing, the lintel (petitis) and the jamb are the elements of the door that are most decorated.The doorframe of a meten or a bandung bale is sometimes carved in parasitic stone, and topped with the face of Boma or Sai Double doors have traditionally had copper rings as handles, mounted on turntables in the shape of water lilies (padma). 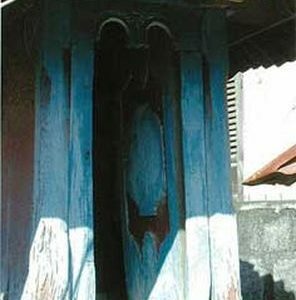 The lock is fixed between the two rings. 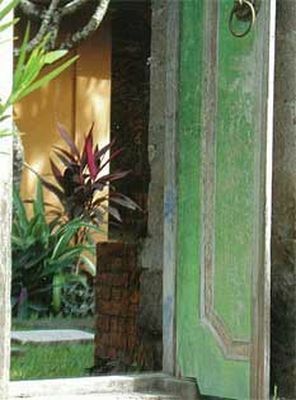 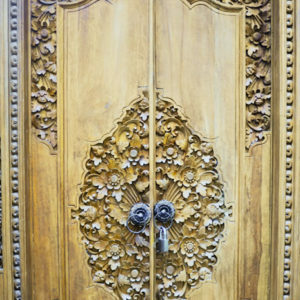 The doors we offer are unique Indonesian pieces, since they are hand-made.